Looking For Experienced and Expert Condo, Commercial, or Residential Property Management Services for Your Markham Building? ICC® Property Management is an award-winning property management firm servicing Markham properties with a full suite of administrative, maintenance, and financial management services to help you maximize your investment while leaving the day to day operations to us. The City of Markham is among the most actively growing municipalities in Ontario. Located just outside of Toronto, it is a distinctive area defined by a well-developed network of transportation and a range of high-quality facilities. Residents tend to be well-educated and pro-business, which is perhaps the reason why more than 400 company headquarters call Markham home. It has also earned the nickname of Canada’s High-Technology Capital, as it provides locations for nearly 900 companies focused on technology and life sciences. 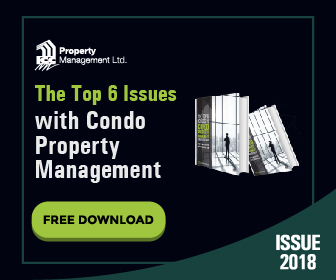 With such a diverse group of residents with high income potential and varied housing needs, it is small wonder that the condo business in Markham is booming, requiring significantly more in the way of Markham property management. ICC® Property Management already assists several clients in the area. They have a well-established network of businesses and contractors, ready to provide exceptional service for these discerning residents. A relationship with ICC® Property Management is more than just an agreement to provide certain condominium-related services. It is a promise that ICC® will treat each member of the board and each resident with the utmost care and respect. This company takes a residents-first approach, which in turn increases the quality of the services rendered to each board of directors due to increased resident satisfaction. Why Choose ICC To Manage Your Property In Markham? ICC® serves clients throughout the Toronto area, and is also capable of providing Mississauga property management. Wherever they serve their customers, ICC® brings a high standard for excellence and a commitment to honesty and integrity. ICC® is ACMO 2000 certified, meaning that they receive ongoing education on industry changes and best practices so they can better serve each client. Founder and owner Steven Christodoulou takes a hands-on approach with each and every client that calls on ICC®. He is heavily involved in the physical and financial management of each property, helping to ensure resident satisfaction. He also helps the board of directors remain organized and compliant with local rules and regulations, as well as the Condominium Act. He and his team can provide a custom-tailored range of services suitable for any need, from high-rise condos to small townhouse operations. Each client receives the personalized care and attention they deserve.